This is Barry Bonds’ night at the Oscars. He is stepping back into the spotlight Saturday night at AT&T Park, where he will receive adulation and glorification from a passionate fanbase that always embraced him, even when America shunned him. You can love him or hate him, but in this city, Bonds is as iconic as cable cars. He is their Golden Gate Bridge to greatness, linking Willie Mays and their glorious past to their three World Series banners this decade. “Barry has always been family to our fans,’’ Giants president Larry Baer told USA TODAY Sports. “His dad was a great Giant. His godfather (Mays) was perhaps the greatest of them all. Barry was part of royalty. “Sure, there were a lot of tough times with him, challenging and contentious times. But if something happens with somebody in your family, you don’t disown him. … You love him unconditionally, and what Saturday will do is remind people of his accomplishments. The fans’ unadulterated love for Bonds was exposed again the day they announced Aug. 11 would be Bonds’ jersey retirement night. Tickets were sold out in 20 minutes. It’s the hottest ticket of any game this regular season, Stub Hub officials said, with ticket prices soaring close to $800. This frenzied sellout crowd is primed to recognize and celebrate one of the greatest players in baseball history. Among those expected to attend are: former teammates Bobby Bonilla and Rich Aurilia; former managers Jim Leyland, Dusty Baker and Bruce Bochy; and all five living Giants Hall of Famers — Mays, Willie McCovey, Orlando Cepeda, Juan Marichal and Gaylord Perry. The Hall of Fame has yet to welcome Bonds, but the Giants refuse to wait any longer. He will become their 11th player to have his jersey — No. 25 — retired. And the only one not enshrined in Cooperstown. “ … There’s no code that you must be in the Hall of Fame to have your jersey retired, this was a no-brainer for us,’’ Baer said. “I’m not going to lecture anybody whether he should be or shouldn’t be in the Hall of Fame, but when you really step back, and look at it unemotionally, how can he not be with his home run record, his seven MVPs, and everything he’s done in the game? Bonds has yet to be elected by the members of the Baseball Writers Association of America for the simple reason they believe he used performance-enhancing drugs. All while setting the all-time single-season record of 73 home runs in 2001, and surpassing Hank Aaron in 2007 to become baseball’s home run king with 762. The writers couldn’t punish him as a player, and baseball was powerless to do anything without a failed drug test or proof of using PEDs, but he’s being penalized now. It’s rather absurd. Recent inductees Mike Piazza, Pudge Rodriguez and Jeff Bagwell are openly welcomed. If we’re going to permit players surrounded by PED suspicions, with several former teammates, coaches and front office executives openly mocking the absurd notion many of these recent inductees were totally clean, how in the world should the greatest player in the steroid era be kept out? Maybe if Bonds had that cuddly and friendly personality, it might be different. Maybe if he had never broken the beloved Aaron’s record, voters would be forgiving. Maybe if he lied, saying he tried PEDs simply to overcome nagging injuries, folks would look the other way. Instead, Bonds insisted he never knowingly used PEDs in the BALCO case, the U.S. government took him to court on five counts of perjury and obstruction of justice, and Bonds won, cleared of all charges. It doesn’t matter now. 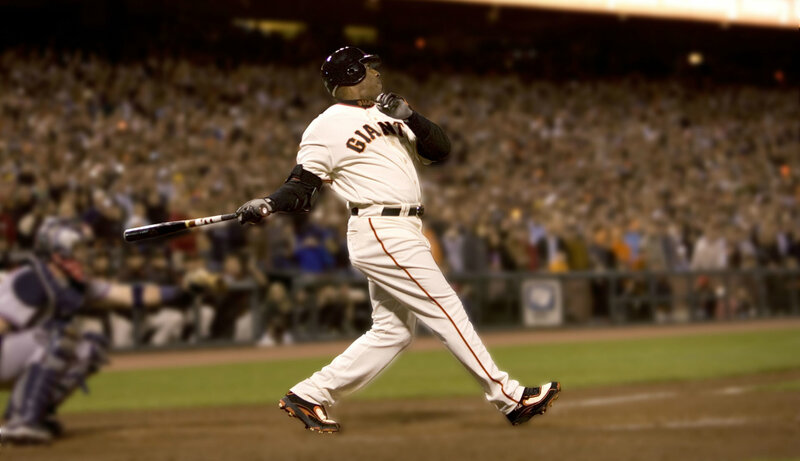 Bonds stopped playing baseball 11 years ago when no team would touch him. The government fight has ended. But his battle with the baseball writers lives on, with four years of eligibility remaining on the ballot. He finished last with 56.4% of the vote last year – far short of the 75% required. Bonds, 54, now a special assistant with the Giants, has no interest in addressing those issues. There are no news conferences scheduled Saturday. No meet-and-greet with reporters. Simply, a private reception Saturday afternoon, an 8 p.m. ET ceremony, and then the ballgame against the Pittsburgh Pirates, the team that drafted, signed and developed the greatest player of his era. Perhaps no one since Babe Ruth changed the complexion of the game with opposing managers and pitchers focusing their approach and strategy depending on when Bonds was due up. It was 25 years ago when Baer made his first phone call to Bonds after he became a free agent, telling Bonds they’d like to bring him home, and to this day, Baer can recite his response like his own child’s first words. “Having Barry led all of the momentum into our new ballpark, the 530 consecutive sellouts, the three World Series, really everything we accomplished. The folks in San Francesco may not share the same court of public opinion on Bonds as everyone else outside the 415 area code, but it’s a love affair that never waned. This will be the night when the outpouring of gratitude and affection may resonate forever, knowing that blemishes and all, Bonds always will belong to them.